Bandana Day is this sunday, don’t forget to get yours. They are only available at Hair Fair, and are 50L each mod/transfer. 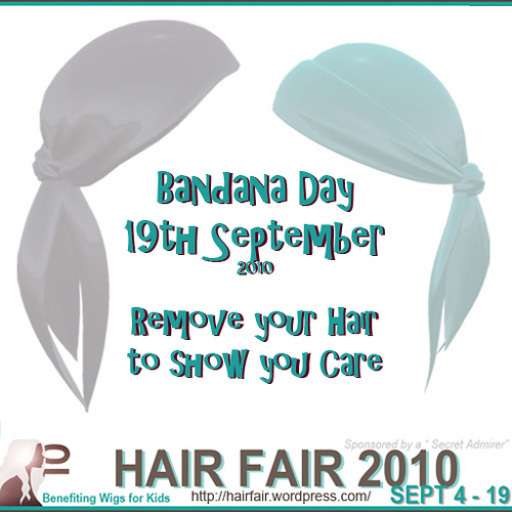 Buy some for you and your friends…Sunday is the day we all remove our hair to show we care. 100% of the proceeds from bandana sales goes to Wigs For Kids and we have some incredible one of a kind designs from some of SL’s top content creators.